Bonsai aggregates are ordered in batches of 24 ton or 35 yards. The material is screened. Oversize material is crushed and sent back through the screener. This allows us to deliver a constant 1/4 inch aggregate in several flavors. 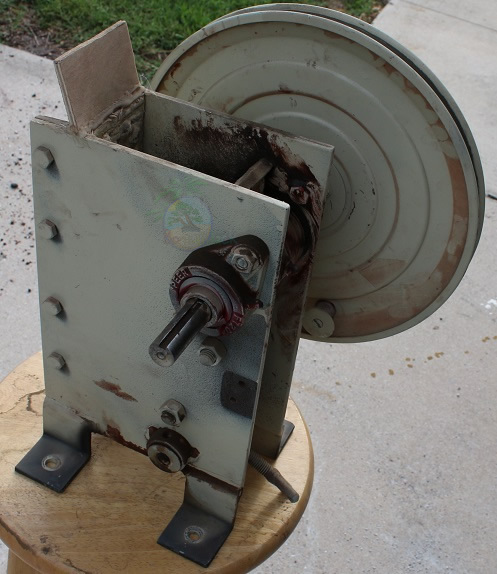 We have been running a single three inch crusher for several years. Here is a photo of a crusher that is being phased out. The old crusher is only capable of processing a painful 6.6 ounces per minute. Larry G was kind enough to build two custom 6 inch models designed specifically for lightweight aggregates. These are high quality units with several upgrades including zero speed mounts, fixed legs, ultra hard facing plates, thicker components and reinforced bearings. Each one of the new crushers is capable of processing 47 ounces per minutes. Here is one of the new crushers. Both crushers will be online and processing 5.8 pounds per minute. This will increase our processing capability by 15 fold. What used to take 6 hours to crush can now be done in under an hour. None of this would be possible without the support of our customers. These machines will be in service for many years delivering thousands of gallons of bonsai soil. A special thanks to Larry for taking the time to listen our needs and build these units. Next post: New bonsai soil classifier is now operational.